Goathland is a popular tourist spot in the moors, although most people would know it as either Aidensfield or Hogsmeade. This was the setting for the ITV1 series Heartbeat and you can walk around the hotel, garage and shop seen in the series. The small station in the village, which is on the North Yorkshire Moors Steam Railway, was used as the setting for Hogsmeade station in the Harry Potter films. "This quaint village is almost too good to be true. 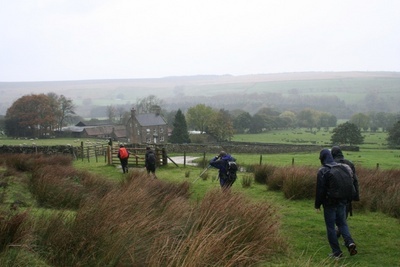 The pub and railway station were good, but was also great was the vast expanse of countryside available to explore."